Headwell House, expected to open on 1st December, will be Abbotsford Care’s eighth home in Fife since their establishment in the care sector in 1987. Dunfermline MSP Bill Walker said: “I extend my best wishes to Liz Bartonowicz in her new role as Home Manager in Dunfermline. “Headwell House sounds very impressive on paper, and I am pleased to welcome Abbotsford Care to Dunfermline. 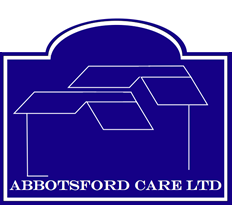 “Abbotsford state that their staff receive high quality, ongoing training and are mostly SVQ Level 2 or above. “The new home will accommodate up to 64 residents who require nursing, residential or respite care. It aims to provide person-centred support to older people and vulnerable adults. Home Manager of Headwell House, Liz Bartonowicz, has set out her vision that Headwell House will provide “a ‘Home from Home’ environment for our residents, a place where they will feel safe, secure and relaxed in their surroundings, whilst being encouraged to live their life to the full.